It is the 6th of may and neither spring nor summer is in sight. That is very depressing. 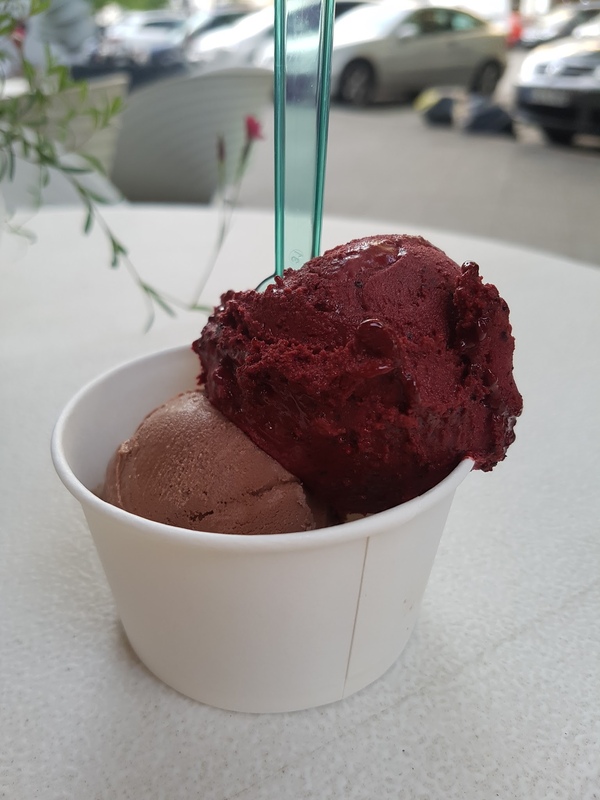 But we are Berliner so weather is what you make of it, summer is when you have an ice cream. Nice ice cream shop in Windscheidtstraße „Moono“, mainly known for frozen yoghurt, which I detest. But I like ice cream. My favourite combination is actually the mango/ chocolate ice cream from Florida. But the blueberry/chocolate from Moono is an acceptable replacement, for someone as picky as me.